Lancaster High School juniors who rank in the top 20 percent of their class are now guaranteed admission to the University of North Texas through UNT’s Eagle Advantage program as a part of the new college access partnership through the District and the University. 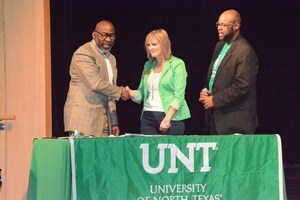 Lancaster, TX/Lancaster ISD – The Lancaster Independent School District is proud to announce that through a recent partnership with the University of North Texas, its high-achieving Lancaster High School juniors who rank in the top 20 percent of their class are now guaranteed admission to the University of North Texas through UNT’s Eagle Advantage program. Lancaster ISD joins more than 30 Texas school districts currently participating in the program. 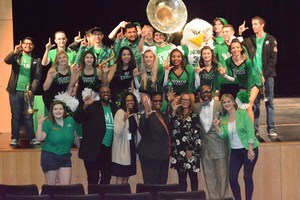 The UNT Eagle Advantage Program is unique because it allows unconditional admission to the Top 20% of ranked juniors assuming the students graduate with a recognized college preparatory diploma and satisfy Texas Success Initiatives (TSI) requirements. 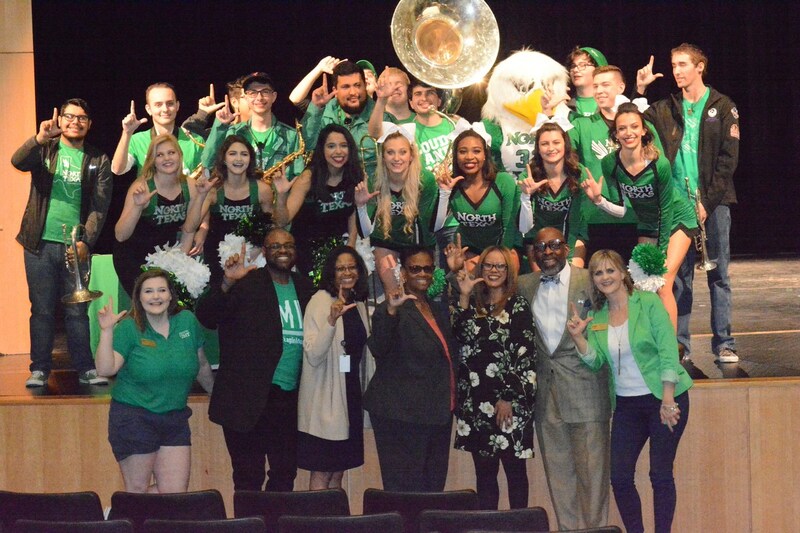 In addition to guaranteed admission, students in the UNT Eagle Advantage program also have access to the Senior Year Experience offering campus events and programming such as College Preparatory Workshops, Eagle Advantage Tours, Junior Day, and Senior Day. Lancaster ISD’s Executive Director of College and Career Readiness Creslond Fannin is extremely excited about this partnership and the fact that the partnership tightly aligns with the district’s More Than a Diploma Initiative that began in 2009 and its current vision that all students will achieve self-sustaining success and leave a lasting legacy. 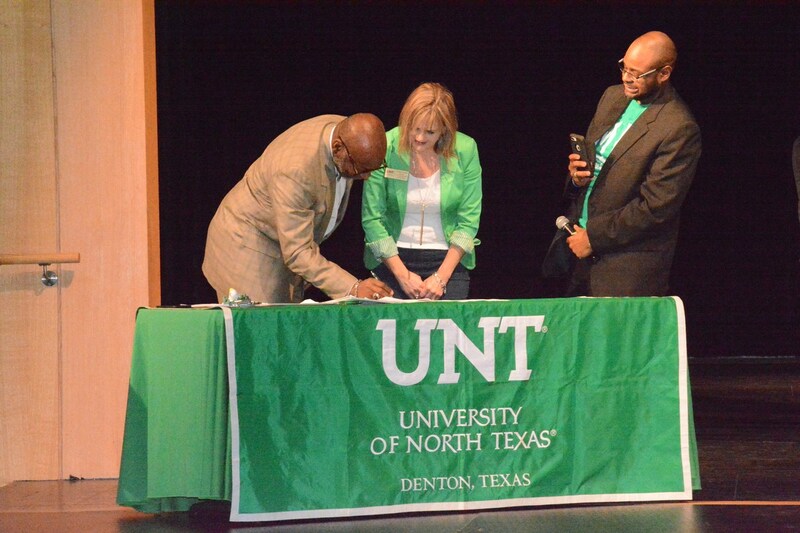 For acceptance into the Eagle Advantage program, qualified students need to apply to UNT through Apply Texas and submit all required documents, transcripts and test scores. Qualified students also need to graduate with a recognized college preparatory diploma and satisfy TSI requirements. In addition, each high school involved in the Eagle Advantage program will receive a $1,000 scholarship to award to one senior who is part of this early admission opportunity. To support this effort at LHS, UNT will have staff members on the high school campuses on a regular basis to assist students with college admissions and financial aid applications. 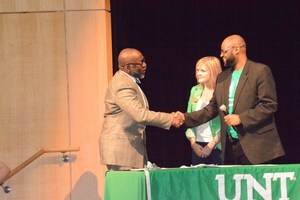 Students can register for Eagle Advantage at eagleadvantage.unt.edu. 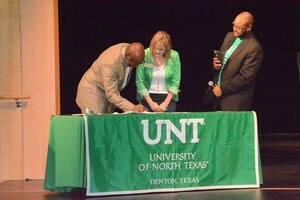 Details and calendar events regarding the UNT senior year experience program for high school students can be found at senioryear.unt.edu. Learn more about Lancaster ISD, Lancaster High School and its More Than a Diploma Initiative by visiting www.LancasterISD.org.